According to some, the origin of the placename can be linked to the latin term “ovilia” a plural for “ovile”, sheepfold, confirming the primitive pastoral organization of the area. Others instead maintain that “Uviglie” comes from the roman patronymic “Avilius” which has left quite a few traces in the area. The name made its first appearance on a document dated November 1271 kept in the capitular archives of Casale Monferrato. The first certain traces about the birth of the castle can be found in a document dated 14th June 1322. In this text the marquis of Monferrato Teodoro I granted the Pocaparte family a license “ hedificandi Castrum Ivilie” to build their own fortified residence. The construction of the round tower and the wall supporting the roof garden adjacent the present park goes back to that period. In the XVI century, in order to redeem lands and castles pawned by his father Teodoro, Giovanni II Paleologo inflicted new taxes and started a legal dispute which affected mostly the Pocaparte family. The legal dispute went on for more than a century and it ended unfavoraubly for the Pocaparte family in 1493. Consequently Antonio di Giovanni was the first of the Pocapartes to give up his estates of Uviglie. In November 1493 he gave all his feudal possessions to Maria di Serbia mother and guardian of Gian Giacomo Palelogo and of Guglielmo IX Marquis of Monferrato in exchange of the promise of a dowry of at least 1000 florins for his children, sons and daughters. On February 1495 Giovanni Antonio Pico, who was from an old noble family from Casale and Marquis Commissary for the Revenue of Casale, acquires the properties of the feud of Uviglie from Guglielmo IX and Gian Giacomo becoming the only owner appointed by the Marquis of Monferrato. Starting from 1497 the new master of Uviglie could also be titled with the illustrious surname of Gonzaga: such a privilege, along with the use of the powerful Mantua family coat of arms, he and his brother Bonifacio and their male descendants were granted with after the merits Bonifacio had obtained while he was at service of Lodovico Gonzaga’s noble family. 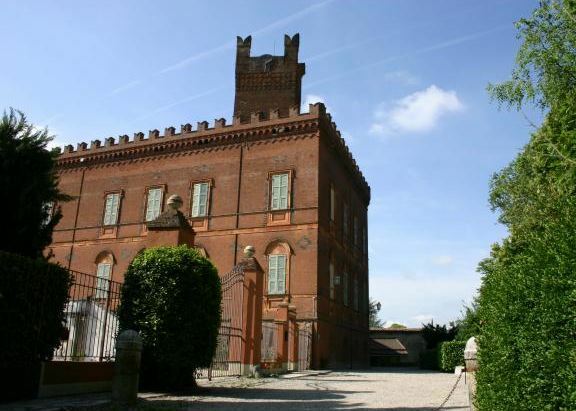 At that time the care taken to preserve the castle was hinted at with praise by Evandro Baronino editor of a statistical survey of the town and lands of Monferrato who described it as “a very comfortable residence with very beautiful rooms”. The construction of the quadrangular tower and the present building on the northwestern side of the castle date back to this time. The outside walls were probably demolished when the dukedom went to the Savoia family in order to create enough space to develop the existing park as we see it now. On 23rd October 1680 Giovanni Antonio Pico Gonzaga obtained from Ferdinando Carlo Gonzaga Duke of Mantua and Monferrato the promotion from feud to earldom with right of succession only for the first born child. In addition to the usual increase of jurisdictional powers, it was also granted that “agents, serfs and servants, and other workers” i.e. all the people involved in the administration and the running of the agricultural estate at the service of the lord of the castle would not be subject to the military service to the Monferrato Army but only to the general Governor of Monferrato. Besides the Earl of Uviglie was granted: the authority to give six men the license to carry fire weapons in all the territory; local Chaplaincy totally subordinate to the lords of Uviglie; permission to celebrate Sunday services in the family chapel; right of asylum for any crime except high treason against the Marquises of Monferrato; total indipendence from the town of Rosignano. At the death of Giovanni Antonio - the last male descendant of the Pico Gonzaga family – the Uviglie estate went on to the daughter Felicita, married to Ignazio Callori Earl of Vignale, who together with his son Armodio Callori Pico Gonzaga began restoring the castle entrusting the architect Arborio Mella from Vercelli. The Countess Luigia Callori married Massel di Caresana succeeded Armodio who died in 1879 leaving no heirs (his sarcophagus is kept in the park). The castle and the Uviglie possessions were inherited, as formally stated in her will, by her nephew the Earl Emanuele Cacherano of Bricherasio who created and founded FIAT being also the heir of a noble family of bankers very close to the Savoia family and who had also among his ancestors a Viceroy of Sardinia. When he died unmarried he left all the Uviglie possessions to his sister the Countess Sofia Cacherano di Bricherasio who was also unmarried and so in 1928 she allowed the Missionaries of the Consolata of Turin to live in the castle and to establish there a novitiate centre. During World War II the corpse of Father Giuseppe Allamano was moved to the castle to protect it from the bombs on the city of Turin. 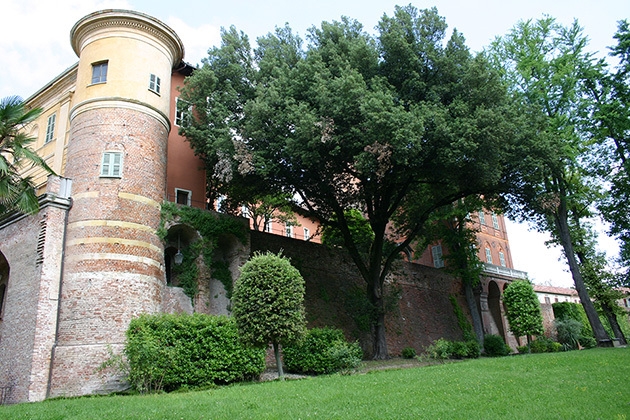 Besides, the castle over the centuries has hosted Saint Luigi Gonzaga who was with his father Ferdinando in Monferrato appointed governor of the dukedom. Saint Giovanni Bosco and also the nephews of the Ethiopian emperor Negus stayed in the Uviglie castle while the Missionaries of the Consolata were established there and played an active part in the Italian colonies of East Africa. 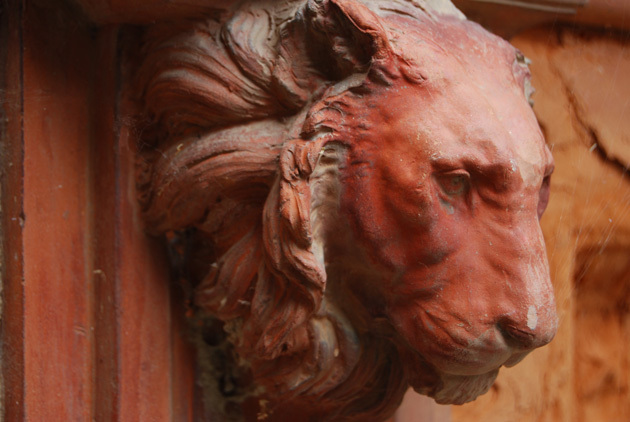 The property with its ancient park because of its architectural importance and its artistic heritage, it is under the Royal Law Decree of June 1939 and it belongs today to the Società Semplice Castello d’Uviglie.